I started working with Samantha back in January 2015. I have lost 56 lbs, come off diabetic, thyroid, and high blood pressure medications, and have lowered my cholesterol below normal range! My doctor is so thrilled, that he asked to meet with Samantha. He now refers his patients to her that want a different approach to healing their bodies naturally, as I did! I have also referred three of my family and friends to Samantha, and they are all doing incredibly well. I have so much energy at 52 that people often question my age now! I have even had a few young men tell me that they don’t believe that I’m 52!! I ask, “well how old do you think I am? Most thought I was in my early 40’s and one young man thought I was 38! Woohoo! I no longer have my life on pause and I am living the best life ever! I’ve spent a lot of time reflecting on my experience and journey with Samantha. Many times while writing this, I wanted to cry happy tears. I never thought I would be able to write my story while being kicked in the ribs by my baby. You’ve made a lasting impact on my life for sure. I experienced a myriad of digestive related issues, extreme PMS and significant pelvic pain, but my cycles were always regular so I thought everything was fine. I suffered a ruptured ovarian cyst and then began to have pain that slowly progressed over a couple of years from simple period related pain to pain nearly all the time, both during ovulation and during my periods. I feel I should have known something was wrong and should have discussed this with my OBGYN, but I was in denial and didn’t realize this was completely abnormal. Let’s face it; no one wants to believe there could be something wrong with them. My husband and I started trying to conceive in January 2015 and I got pregnant the first month of trying. I miscarried between 4-5 weeks. Because I’ve always wanted to be a mother more than anything, I was completely devastated. Following my miscarriage, pelvic pain and digestive issues became so significant that they interfered with work and my general well being. I finally returned to my OBGYN when the pain was unbearable. Following an exam, my OBGYN felt a diagnostic laparoscopy would be beneficial, as he strongly suspected endometriosis. I was scheduled for surgery in March 2015, which resulted in a diagnosis of mild stage II endometriosis. Endometriosis implants were excised and I began the healing process. My significant pain was relieved within one month following surgery, but I wanted to find a more permanent solution to deal with endometriosis and the hormone related imbalances that are associated with endometriosis. I began to seek out holistic options to face these problems. 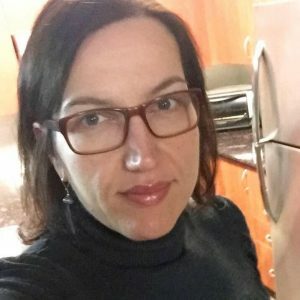 I made diet changes based on my research and continued to delve into any resource I could find to help guide me…podcasts, websites and research articles. My life changed the day I listened to a podcast from Samantha Gladish. I felt empowered to transform myself and take control over my own health in hopes of finally achieving a healthy pregnancy. I started my metabolic program with Samantha with the understanding that my goal was to get pregnant. Samantha tailored my plan to meet my specific goals. I completely devoted myself to this plan and remained focused with my goal in sight. After my diet began, I started to feel better, gained energy and I lost 8lbs prior to even completing phase 1 of my plan. Along with my meal plan, Samantha guided me to the right supplements and I devoted time to tracking my cycle. I was focused on ME for the first time in a long time. Prior to completing phase 1 of my meal plan, I discovered I was pregnant and can happily say that I am now 25 weeks pregnant with our healthy little one. My due is in April 2016. I can’t say enough about my experience working with Samantha. I had been on birth control for nearly 15 years (so awful, I know now) and after getting married went off of it hoping everything would immediately be normal with my cycles. Of course, everything wasn’t. They were highly irregular. With my first son, my husband and I tried to get pregnant every single cycle for nearly a year – I know this is a blip of time compared to how long it unfortunately takes some couples so we weren’t overly worried, but the fact that my cycles were so unpredictable and came at random was a big concern. It made conceiving like taking shots in the dark. 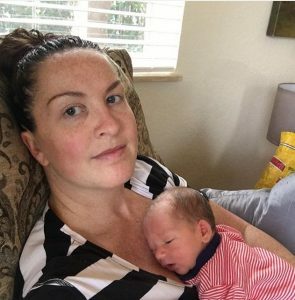 I was diagnosed with PCOS and we resorted to a fertility clinic that started Clomid and close monitoring, which thankfully worked the first time around. 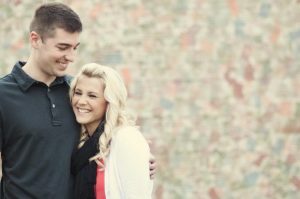 We were thrilled and knew we were very fortunate to have gotten pregnant so quickly with help. Despite my son being born super healthy and thriving ever since, I always had a niggling voice in the back of my mind that wished we’d have been able to conceive naturally. So when we were ready to try for #2, I was determined to try whatever I could to do that. We tried for a few months with no positive sign. I wasn’t surprised and that’s when I decided to contact Sam to hopefully get things rolling more quickly. Sam’s expertise was obvious from our very first conversation. 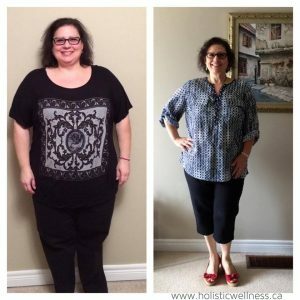 She gave a few basic lifestyle change instructions – cut down/out my coffee, stop drinking, cut out processed sugars, cut down/out various dairy products, specifically outlined supplementation, etc – as well as more unconventional instructions that had never crossed my mind – seed cycling to regulate my hormones was a big breakthrough, in my opinion.